a glimpse of our life: How Does Your Garden Grow? My grandad was a master gardener long before that became an official title. He was the best gardener I've ever known. He shared his knowledge freely, and he tried new things. We inherited his farm, but sadly, I did not inherit his green thumb. But I keep trying new things. About a year ago, I first saw a friend share about a garden tower. It seemed too good to be true. Then she shared pictures of her kids planting and very quickly harvesting first lettuce and then more. 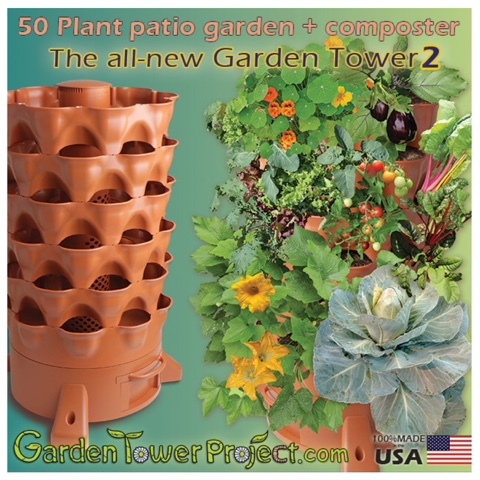 Have you seen the Garden Tower 2? It's pretty amazing! Disclosure: As an affiliate for Garden Tower, if purchases are made through the links I share, I will receive a commission. This is disclosed freely.